This award-winning property is set in a beautiful location in the very heart of Whistler village, British Columbia, just a few steps from the Whistler and Blackcomb Mountain chairlifts and located next to the Whistler Conference Centre. 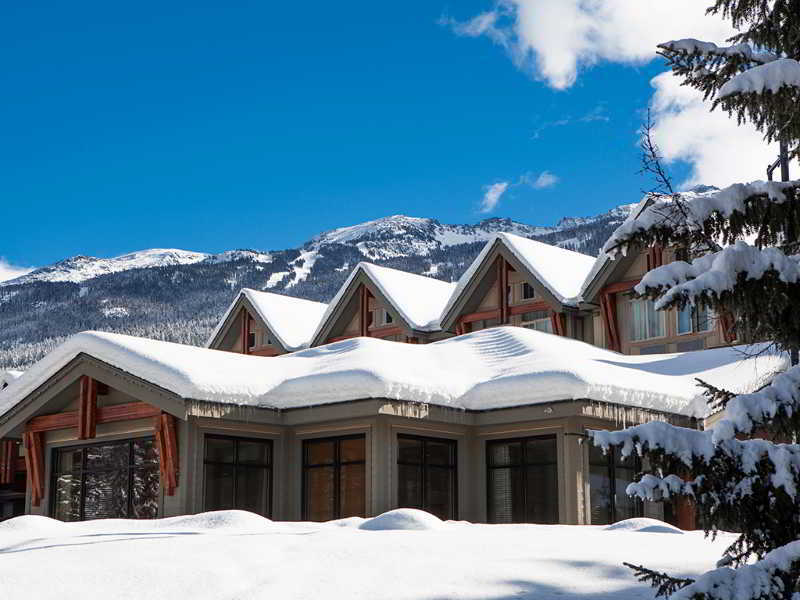 This resort is the perfect location for travellers looking to stay in one of Canada's top skiing destinations. All guest rooms in the resort feature rich, attractive decor and free high-speed internet access. Those most demanding guests can upgrade to a Junior Suite for a well-equipped kitchenette. Visitors may take off their skis after a long day and enjoy what this Whistler resort has to offer. They can swim lengths in the heated outdoor swimming pool, relax in the hot tub or work out whenever they want to in the 24-hour fitness centre, fully equipped with cardio equipment and weights. Visitors can also treat themselves to a day in the state-of-the-art spa, or play a set of tennis on the court. The onsite grill restaurant is ideal to enjoy a selection of Pacific Northwest creations, and corporate visitors can check emails and surf the web in this Whistler resort's modern business centre, or hold meetings in one of 11 meeting rooms. City centre - 0.050 Km. Nearest Bus / Metro Stop - 120.000 Km. Golf course - 0.350 Km. Ski slopes - 1.000 Km.